The COSIPLAN Project Portfolio Report 2016 (publication in Spanish) presents 581 integration projects for an estimated investment of US$191.42 billion. 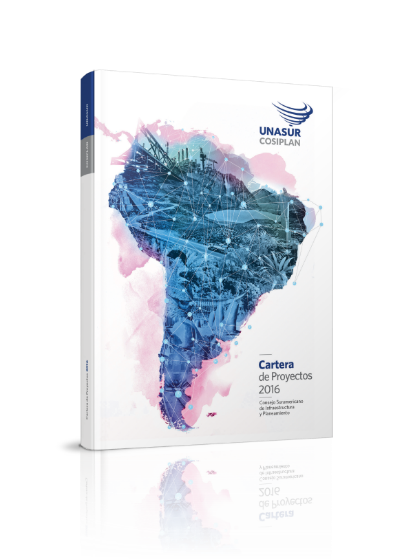 These are distributed throughout South America and organized into 47 Project Groups and 9 Integration and Development Hubs. The publication provides a general overview of the portfolio and reviews the results of different countries’ territorial planning initiatives. It divides the portfolio into three sections: the total portfolio, the active portfolio, and concluded projects, and also includes a chapter on projects by hub. The COSIPLAN Project Portfolio is updated continually. The Executive Technical Groups for each hub meet regularly to improve the quality of the information available on each project and to adjust the contents of the portfolio by including new projects and excluding those that are no longer priorities.